Discussion in 'Lets Talk about gambling and more...' started by Marina, Jul 6, 2014. Blackjack (or twenty-one) is one of the most popular card games in the world, especially popular in high-stakes casino games. You win by proving victorious over the dealer. You know the drill, you get 21 points, get a higher score than the dealer overall, or bait the dealer into drawing more than 21 cards. The rules are simple, but you may be surprised at how many helpful hints and tips are available to winning this ever-popular card game. Whether you’re an old pro or a brand new player, taking a look at these five gambling tips will help you sharpen up your game so you can get that win you’ve been playing for. If you want to be an excellent blackjack player, take the time to learn the basics when it comes to strategy. Using math to add some “meat” to your game may make more of an impact on your winning score than you thought possible. Try visiting a local bookstore or library and spend some time browsing through card game strategy guides, especially guides that are specific to the game of blackjack.When reading these books or browsing other similar resources, keep an eye out for information that addresses what to do to remain firmly against each dealer potential upcard. As mentioned above, learning a little math will most definitely not hurt your blackjack game. In fact, it is almost guaranteed to boost your winnings. Blackjack is a counting game, after all. 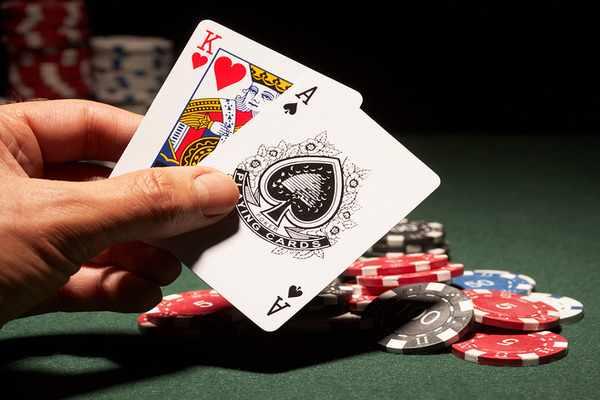 After taking time to learn the main strategies behind blackjack, try learning some of the simple and popular card counting methods used by professional blackjack players. If you count your cards, you know exactly what is going on at all times. Therefore, you are able to remain informed about whether the deck at hand is favorable (a great deal of cards with the value ten remain) or unfavorable (Very few or no ten-value cards have been dealt out). You should have learned from your investigations in tip one that a deck with many ten-values remaining is a very good thing since it fattens up the chances of your receiving a blackjack from the dealer. Not only that, but a ten-rich deck also helps you affirm your guesses about whether or not the dealer has a card face down carrying a value of ten. Obviously, this is an important piece of information because this tidbit (whether or not the dealer is hiding a ten-value card) determines the decisions made throughout the remainder of the game. The chief reason that it is important to know whether or not your dealer is hiding a ten-value card? If the deck is rich in tens, you know that the dealer is approaching a “bust”, since he or she may be nearing the dreaded point value of 1,216. Avoid silly beginner mistakes by intentionally choosing not to hit too much. You don’t have to be afraid of standing on a thirteen. If a dealer is carrying an upcard that ranges in value from 2 to 6, standing on a thirteen is actually a good idea. It is far easier for you to bust the dealer if you know what to stand on and how long to stand on it. Pretend that every card with a hidden value is worth a total of ten whopping points. This will help you remain level headed during the game. If you are a very emotional card player or simply a new player, it may be best to take it easy on the bankroll when playing blackjack. Predetermine what limit you you are willing to go to so that you don’t have to be anxious about whether or not you are chipping too much money. If you are less anxious while playing, you’ll make better choices overall - giving you more wins and less stress. Remember that playing outside of your means can be dangerous. Don’t take the fun out of gambling; stay in a financial safe zone so that you’re able to have a good time while gambling. A nifty rule of thumb: Only place ¼ of your betting limit out at any given moment. By following this discipline, you will be able to make a clear-headed decision concerning whether or not you should move tables. By keeping these five tips in mind while you play blackjack, you’ll be able to put yourself a little ways above the competition. The tips and tricks of blackjack basically all boil down into one piece of advice: do your homework. Learn the rules, the strategies, and the math behind the game before you begin gambling large amounts of money. By taking a little time to get in the know, you’ll significantly up your chances of winning. More importantly, though, you’ll be able to sit back and have a good time without worrying about what rules you may or may not know. Some really good Blackjack Tips.